The entire team and I look forward to welcoming you to our renovated hotel! 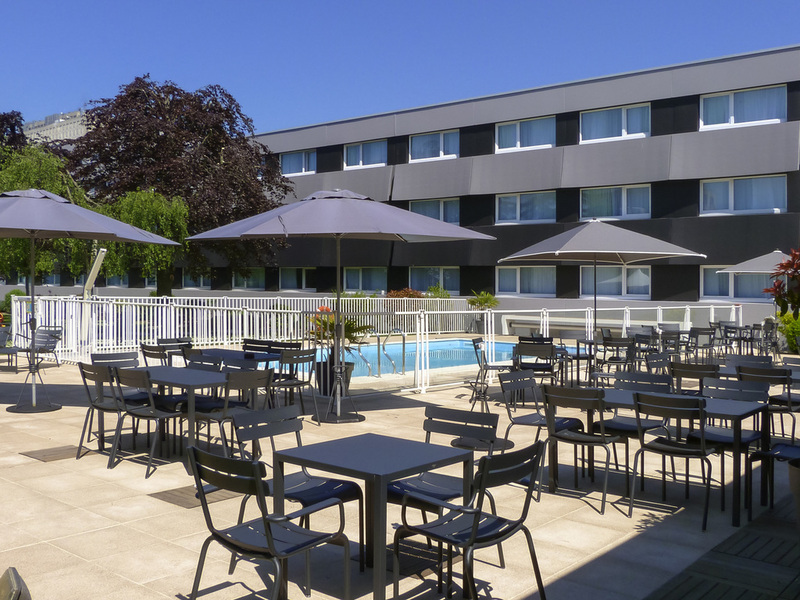 The 4-star Novotel de Caen Côte de Nacre hotel is located close to Caen city center and the Mémorial, between Paris and Mont-Saint-Michel. The hotel has 126 rooms, a restaurant, bar and garden with heated swimming pool, as well as 6 meeting rooms. The hotel is located 10 minutes from the train station and the airport and 15 minutes from the beach. The hotel is perfect both for business trips and for a weekend in Normandy as a couple or family. The hotel offers high-speed WIFI and a free car park. Spacious, modern and completely adaptable; the Novotel room is a true living space, perfect for all your needs. All of our air-conditioned rooms span 258 sq. ft. (24 m²) and have a minibar and eco-friendly complimentary items. Whether you are travelling for business or on a trip with your family, choose the comfort that suits you. Free WIFI available throughout the hotel. Choose the Superior Room for all-round well-being and a peaceful stay at the Novotel Caen Côte de Nacre. Our restaurant is open for lunch and dinner every day (except for Saturdays and Sunday lunchtimes). A snack service is available at the bar 24/7. With a lounge-style ambience perfect for work or relaxation, our bar has everything you need. Whether you're looking to eat, drink, work or relax, it is the place to be in the hotel.